Bic originally known for making and selling pens soon became a recognised sporting brand by the name of Bic Sport when they began manufacturing quality and affordable sports equipment. These include a range of quality, tough and affordable surf, SUP, windsurf, kayak and dinghy products brought to the market for consumers to indulge in! The worlds most popular board. The Mini Mal is also the most popular shape. This Dura-Tech Surfboard will take you from catching waves, to riding the perfect unbroken waves. The Bic Surf Mini Nose Rider twins the nose riding fun with the agility of an egg! This Dura-Tech Surfboard will take you from catching waves, to riding the nose. The Bic Surf 7ft Egg is a legend in it's own lifetime! This Dura-Tech Surfboard in a modern shape is ideal for lighter riders wanting to carve like a longboard in a shortboard! 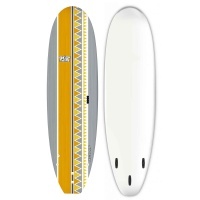 The Bic Surf Paint Magnum 7ft Soft Top Surfboard is a forgiving surfboard with a slick bottom to aid with speed. Soft fins make for a safe and worry free ride. Don't loose your board when out riding. A leash is there to protect other riders and avoid a long walk back in to get your board in the shallows. 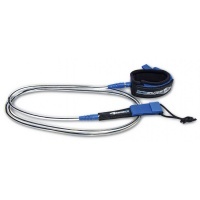 The 7ft BIC Sport leash is perfect for boards approx 7ft to 8ft. Protect your board from dings and damage in transit in the car, van etc. 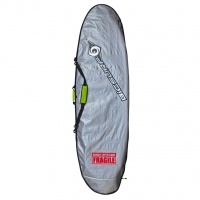 The Bic Sport Surboard bag is perfect to protect your investment for any brand of board.